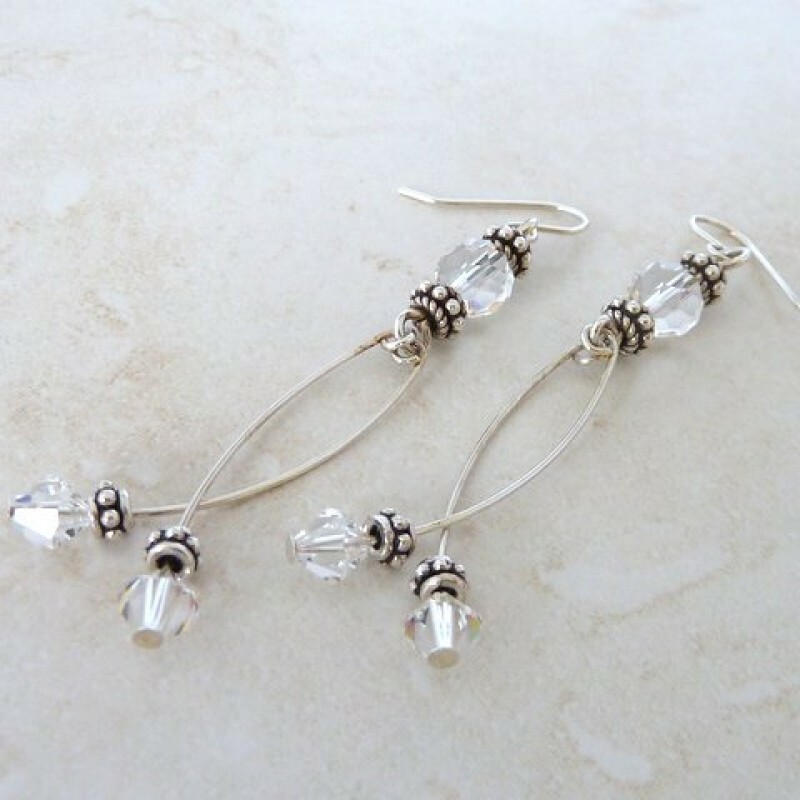 Light and fun to wear all day and into the night. 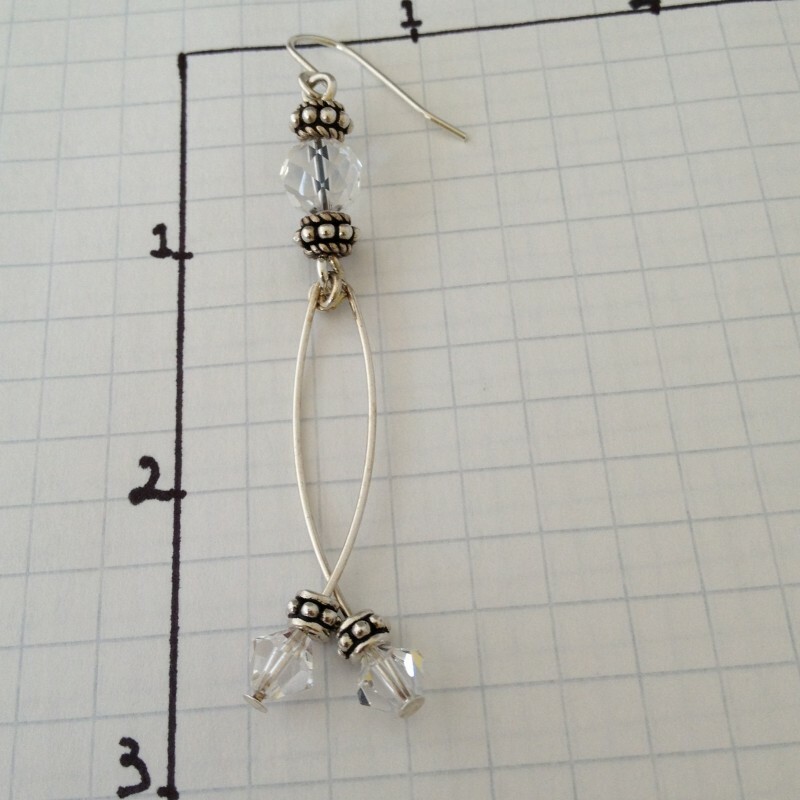 Great for the Spring and the Summer. 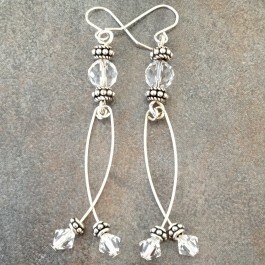 Sterling silver clear faceted Swarovski crystals sparkle and catch the light. 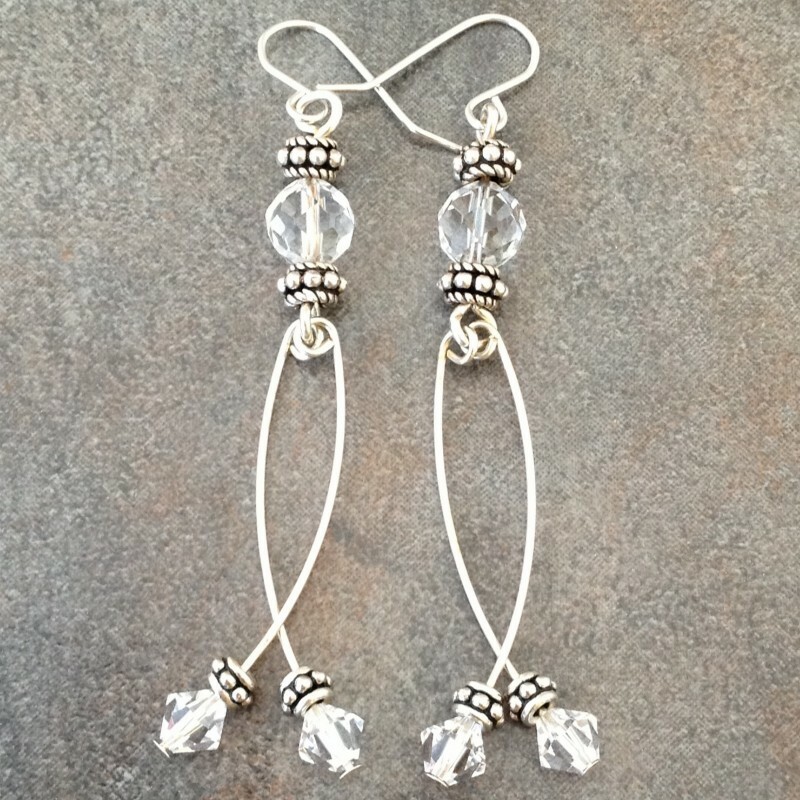 The crystals are accentuated by handmade sterling silver beads from Bali, Indonesia. 2 3/4" long.